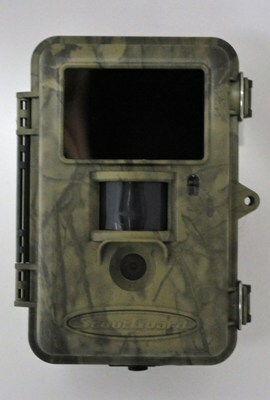 This new Trail Camera Central Security Lock Box will work with any ScoutGuard SG560V or SG560V model. The ScoutGuard SG560 Trail Camera Security Lock Bear Box is made of all steel construction and features a baked on powder coat finish. The box can be bolted, belted, or bungeed to most trees. The box is also attachable via python cable which makes it perfect for use on public land. This box is also lockable for additional security! The Security Lock Bear Box is essential for helping protect your ScoutGuard SG560V or SG560V from theft or damage by animals!